Regular dental cleanings are important. 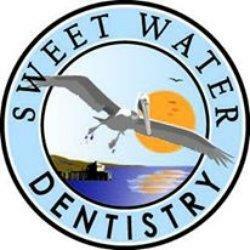 At SweetWater Dentistry we are here to tell you why. While many fail in paying attention to oral healthcare, it is an undeniable fact that oral health is linked to your overall health. It is absolutely imperative for you to pay attention to dental care, since brushing your teeth twice a day is not enough. Most people wrongly consider going to the dentist only when they have an obvious dental problem. This, however, should not be the case. Professional dental cleaning is something that every individual should regularly get. You should not wait for a cavity or a gum problem to pay a visit to the dentist, since it is better to be safe than to be sorry! Here are a few reasons why getting a regular dental cleaning is important. Prevention from oral diseases - Generally, it is believed that oral problems can, at maximum, be cavities or tooth decay. Unfortunately, the bacteria in your mouth can cause conditions that are a lot more serious than these. Healthcare experts have recently reported that several people die every year due to serious conditions like Oral Cancer. By going for dental cleaning, you would be preventing these. This is because while a dentist examines your teeth, he or she also looks for symptoms of Oral Cancer, so as to be able to prevent it beforehand. Also, your oral health can directly affect your overall well being! While it may seem far-off, oral problems may actually lead to problems like strokes. Therefore, you must stay away from such dangers by getting professional dental cleaning once every few months. Keep your teeth healthy for long - As your ageing process starts, your bones tend to lose power. These bones include teeth, which tend to start rotting or falling once you hit old age. Not taking care of your teeth while you are still young will cause hassles later in life, like looking for dental implants and having to manage dentures. It is better to get your teeth professionally cleaned, so as to ensure that you will not have to live with weak and rotten teeth later in life!